Asacpharma is a Spanish pharmaceutical group dedicated to manufacturing and marketing medicines, health products, food supplements and other therapeutic solutions in three medical areas: musculoskeletal, respiratory and dermatological. The company is made up of a consolidated staff of approximately 400 people whose daily work aims to improve the health and quality of life of more than one million patients who benefit from our treatments every year, both domestically and abroad. 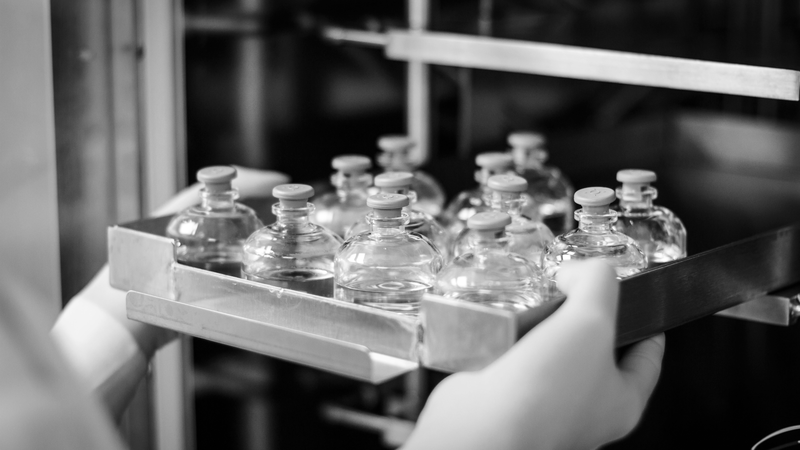 Asacpharma has five manufacturing plants to carry out its activity: two in Alicante, one in Murcia, one in Casablanca (Morocco) and another in Sao Paulo (Brazil). Furthermore, although its head offices are located in Alicante, it has representative offices in Madrid and in the main capitals of Latin America. As a company with international projection, we distribute our products in more than 40 countries through seven subsidiaries and an international distribution network. Specifically, Asacpharma has six active companies in Latin America (Brazil, Mexico, Chile, Colombia, Guatemala and Paraguay) and one in Morocco. Our effort and work on the international level, led Asacpharma to be distinguished with the NOVA Award for Internationalization in 1998. The NOVA Award is not the only one of the company’s many milestones. Thanks to the group’s strong research vocation, we have carried out a number of R & D projects. One of the most important was Project IBEROEKA 003: "Screening and isolation of pharmacologically active principles in Ibero-American plants", with which we became pioneers in the research of medicinal plants. Moreover, we are proud to be part of BIOVAL, an Association of Companies and Entities of the BIO sector that encompasses the Biotechnology, Biomedicine and Bio-economy of the Valencian Community. In our company, the patient always comes first. Through our vaccines, medicines and cosmetics, we help provide prevention and/or treatment for those who need it. We intend to become an internationally recognized pharmaceutical laboratory, its activity based on research and development of products that provide quality health solutions. The constantly changing dynamics of the pharmaceutical industry and scientific advances have made it necessary to diversify and seek alliances and acquisitions to grow the company. This has made it vital to establish collaborations on R & D projects with companies and/or universities (i.e., co-development). •	Own and third party manufacturing of vaccines, dermatological products and food supplements. We actively seek out business opportunities for commercializing third-party products ("In- Licensing ") in Spain, Morocco and Latin America, in terms of both exclusivity and semi- exclusivity. This means that ASACPHARMA is systematically present at the main national and international events of Business Development. Therefore, we believe our company contributes significantly to research and development, thereby making treatments increasingly specific and effective. But it is not only our work in R & D that makes our company grow; the excellent management of the company must also be taken into account, along with Asacpharma’s firm commitment with its employees, customers and suppliers. Through our research and development of pharmaceutical and cosmetic products, at Asacpharma we seek to take care of people, both inside and out. This is the same aim of our Human Resources Department. We are aware of the fact that our most valuable asset is our team, which is why we strive to attract, motivate and develop competent professionals. At Asacpharma we strive to enhance the professional development of our team, ensuring optimal learning for all our employees. We also develop training plans that allow constant renewal and innovation. Asacpharma is committed to adaptability as a fundamental means for striking a balance between family and work life. Our starting point is a new work culture that balances the work and personal spheres based on flexibility, respect and mutual commitment. This principle focuses on holding onto talent and provides our team with a better quality of life. If you’re interested in joining our team, send us an email with your contact information and curriculum vitae through our CONTACTpage. Head of Human Resources at Asacpharma. Nota legal: En cumplimiento con lo dispuesto en la Ley Orgánica 15/1999, de 13 de diciembre, de Protección de Datos de Carácter Personal (“LOPD”), los datos personales e información que proporcione, así como el CV serán incorporados en un fichero de datos de carácter personal. La finalidad del tratamiento de sus Datos es dar curso a la solicitud de empleo y gestionar el proceso de selección, lo que incluirá, en su caso, la participación en diversas pruebas de selección. En cualquier caso, Asacpharma tratará dicha información con la máxima confidencialidad. Asacpharma, se compromete a respetar y facilitar a los Usuarios el ejercicio de los derechos reconocidos por la ley y, en particular, los derechos de acceso, rectificación o cancelación de datos y oposición. Tales derechos podrán ser ejercitados por el Usuario o, en su caso, por quien lo represente, mediante solicitud escrita y firmada, dirigida a la dirección de Asacpharma. •	2009: Controlled single-center, double-blind phase IV pilot clinical trial on the effects of turmeric extract centrum standardized to 12 % curcumin + local phototherapy with visible light in adults diagnosed with psoriasis in moderate-severe plaque of at least 6 months’ evolution. EudraCT Number 2008-006420-65. •	2010: Development of a blue visible light cabin for the phototherapeutic + drug treatment of plaque psoriasis. •	2011: Pilot clinical trial, phase IV, to evaluate the efficacy of Centrum Turmeric extract plus phototherapy with blue light versus Oxoralen + UVA in patients with moderate to severe psoriasis. EudraCT Number 2010-024158-13. OTHER PROJECTS For information on other R+D projects, contact IDi@asac.net. Centrum is a production facility for medicines and cosmetics. It holds Certificates of Compliance for correct manufacturing standards of both. This production center manufactures products for the company as well as for third parties. The pharmaceutical formats that are manufactured in Centrum for the distribution of medicines are: hard capsules, liquids for external and internal use, semisolids (emulsion creams) and tablets. In addition, for cosmetics, Centrum manufactures products for the care and cleaning of the skin, hair and scalp, as well as sunscreens. The pharmaceutical formats of our cosmetics are: solutions, suspensions, emulsions and gels packed in plastic and aluminum tubes (formats from 10 to 200 ml) or in bottles (50 to 750 ml). This facility produces biological medicines and active substances and has the certificate of compliance with standards for the correct manufacture of hyposensitizing vaccines and skin test diagnostics. Asac Pharmaceutical Immunology manufactures a wide variety of products, such as skin tests (for allergy diagnosis), lyophilized allergenic extracts, bacterial suspensions and lyophilized and liquid allergenic bulks. We also produce vaccines at the Alicante plant, such as individualized sublingual bacterial vaccines and sublingual immunological individualized vaccines. Moreover, Asac Pharmaceutical Immunology facilities also carry out mite culture. We have a facility in Murcia (Spain) for the extraction of vegetable principles in Murcia, from which we develop and manufacture exclusive extracts for third parties, as per to the needs of the client. It is an integral unit of solid-liquid and liquid-liquid extraction, and is completely ecological, since it has a closed, complete circuit design without releasing any harmful elements into the environment. Therefore, Especialidades Farmacéuticas Centrum is dedicated to the research, development and manufacture of extracts of medicinal plants for applications in the pharmaceutical, cosmetic, food and nutraceutical industries. Another of our drug production plants is located in Casablanca. This Moroccan plant also has a Certificate of Compliance for correct manufacture of medicines issued by the AEMPS Like the Centrum plant in Alicante, Iberma also manufactures for third parties. In addition, Iberma has agreements with different Spanish and Portuguese laboratories. The pharmaceutical formats elaborated here are: hard capsules, liquids for external and internal use, semisolids (creams, emulsions, suppositories, ovules) and coated and powdered tablets. We have another production plant in Brazil for biological medicines and active substances with the relevant certificate for this activity. It can be considered analogous to the Asac production center Pharmaceutical Immunology since it also performs skin tests and makes individualized and immunological vaccines.